A rustic canoe depicted among the reeds and shoreline adds a splash of color to the wall of your lake house or cabin. The streached canvas art by Patrick Reid O'Brien measures 34" x 18" and is ready to hang. 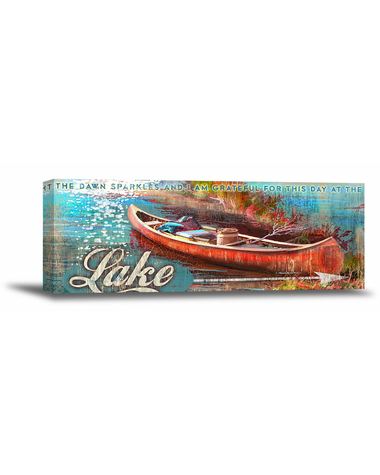 Incorporated into the design reads "The dawn sparkles and I am grateful for this day at the lake."